The Brimstones are a family of "cats" that have chosen to be familiars for a certain family of nature and weather witches over the generations. There are currently 4 in the vicinity of Dapple's woods, but only one or two are ever in the house at a time. They are quite the handful and cause quite the chaos if left unattended too long. 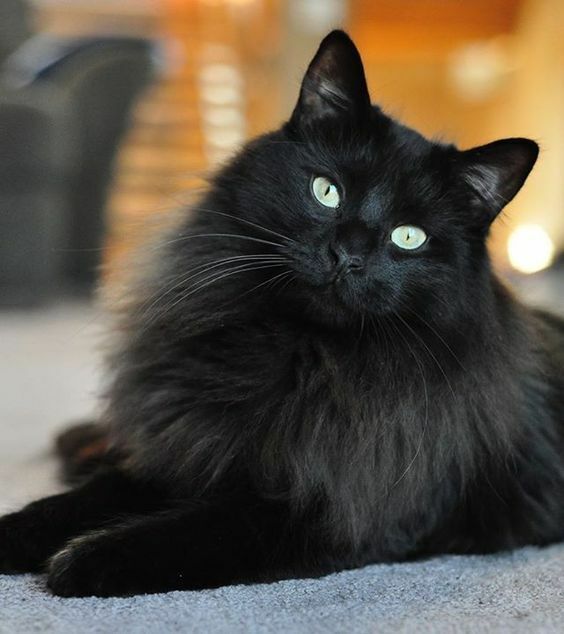 They are quite beautiful with silky long fur, usually black but sometimes with a touch of grey. Floofer was quite different from his siblings. They are willful, crafty, and loyal. Brimstone is what Dapples calls the usual soft play and purr machine that spends her days with her. She knows there are multiple ones and can tell them apart by the wildness. The homestead Brimstone was her favorite though, high energy but a deep love for snuggles. She had the absolute softest dark black fur. She calls the other ones Brimstone 2, or whatever strikes her fancy since they are unnamed to her, among the other normal terms like sweetie and love.